Nestled between two beacons of post-industrial genesis in Leeds and Manchester, successful bands from the town of Halifax have up to now usually played brass instruments. The newly restored Piece Hall is busy giving the area a renewed sense of civic pride however, a confidence soon to be further energised by a prodigal trio barely out of their teens who in one of 2018’s most unlikely stories have smartly recalibrated the grand old lady of indie rock in their diffident image. 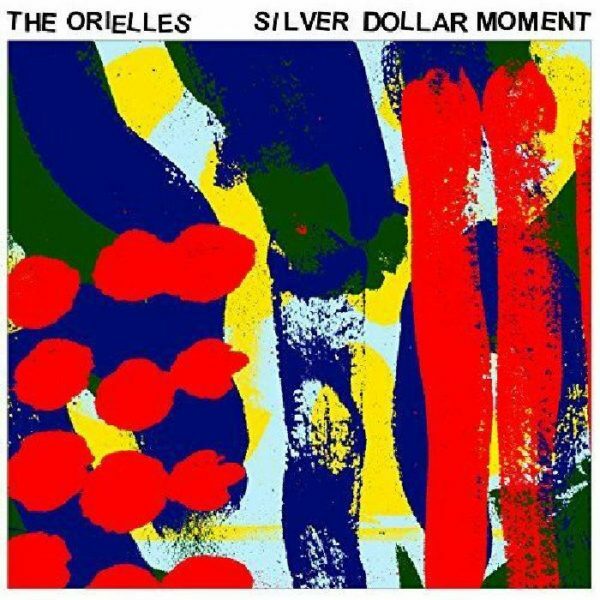 The Orielles – sisters Sidonie B and Esmé Dee Hand Halford and their best friend Henry Carlyle Wade – grew up doting on a heap of bands they’d never seen first time round and films they were too young to get in to (Pixies, Sonic Youth, early Tarantino) but despite their time delay sense of rad, they’ve chosen to shake less underground trees on Silver Dollar Moment, a debut album of magnetic poise and flawless observation. As befits a record which gives such a lie to the drag factor of provincial upbringings, the title is inspired by the feeling of unexpected euphoria from a gig played in far off Toronto, whilst the material on it takes a fairly simple chassis and loads it with fingers of soul, funk, disco and spunky fizz-pop until the battle for our so, so cynical hearts and minds is a walkover. What’s not to love? From the sunlit melodies and insouciant cowbell of opener Mango to the heartbeat-tempo shifts of the lusty Sunflower Seeds, the girls and boy allow barely a note to be wasted, their darker undercurrents – Let Your Dogtooth Grow was inspired by a film by Greek director Yorgos Lanthimos about two teenage sisters imprisoned by their parents – always presented under a candy-coated veneer of perfection. Although the subject matter also varies from the mundanity of Henry’s fixation with getting drunk and then leaving his keys where he can find them, both peaks and troughs are all arrows from the same playful quiver, the daffy funk of I Only Bought It For The Bottle satisfying mind and body, whilst 48 Percent wears it’s twentieth century smarts on its check sleeves. Emblematic of their knack for tying together disparate threads, magical closer Blue Suitcase (Disco Wrist) is an oblique if loving reference to Nile Rodgers’, played out underneath the snazziest DIY mirror ball Yorkshire has ever seen. Silver Dollar Moment is so many things simultaneously it’s hard to know whether it’s best experienced from close up or far away. With three people so in sync and tunes to die for, it’s set the bar refreshingly high in a genre often seen as locked in the doldrums of spent machismo and stuffed with one dimensional bores. There will never be enough bands like The Orielles.